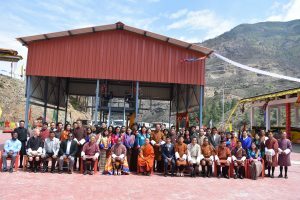 His Excellency Lyonpo Loknath Sharma graced the inauguration ceremony of the POL Depot at Thingchupangkha on April 5, 2019. 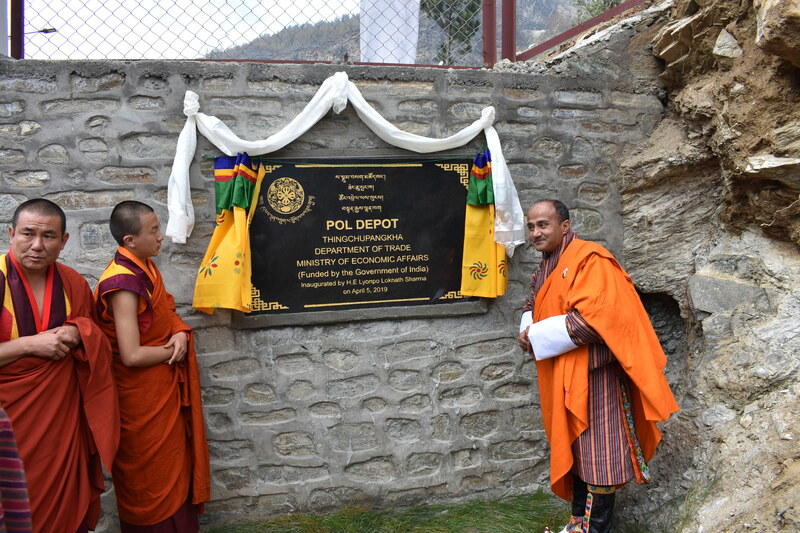 The event marked the commencement of the newly established POL Depot under the Department of Trade. The project was commissioned under the 11th FYP and was funded by the Government of India as a GOI PTA project at the approved budget of Nu. 277.887m. The project consisted of three packages – civil, mechanical and water supply works. The physical construction works commenced from the year 2016 with duration of two years. The need to relocate the fuel depot at Dechenchholing to this current site was conceived considering the security reasons and in order to increase the storage capacity. The new depot has a fuel reserve capacity of 2000kl, with each tank of 200kl. The ceremony was attended by Hon’ble Secretary Dasho Yeshi Wangdi, MoEA; Hon’ble Secretary Dasho Sonam P Wangdi, National Environment Commission; Shri Gaurav R Shresth, Deputy Chief of Mission, Embassy of India; Department Heads, MoEA; Officials from Bharat Petroleum Corporation Ltd; Distinguished guests from other Agencies; members of the media and officials from the Ministry.